Social change is one of my favorite topics because it can start with one person and spread like wildfire to literally change the world that we live in. Once change ignites, it's unstoppable as a force of people standing together to make life on Earth better and more beautiful for everyone. But how does change begin when government and mainstream media outlets aren't putting much effort towards making the masses care? We make art. People don't believe or act on what they don't see, and that's why visual artists hold the key to change. Master photographer Benjamin Von Wong is here to show us that the impossible is possible and to inspire us to use our keys to change. This time, he's tackling the massive problem of electronic waste (or E-Waste) in America by making art with it. Von Wong teamed up with Dell, a company who has one of the largest worldwide electronics recycling programs. To pull it all off, Von Wong worked for ten days with 50 volunteers. 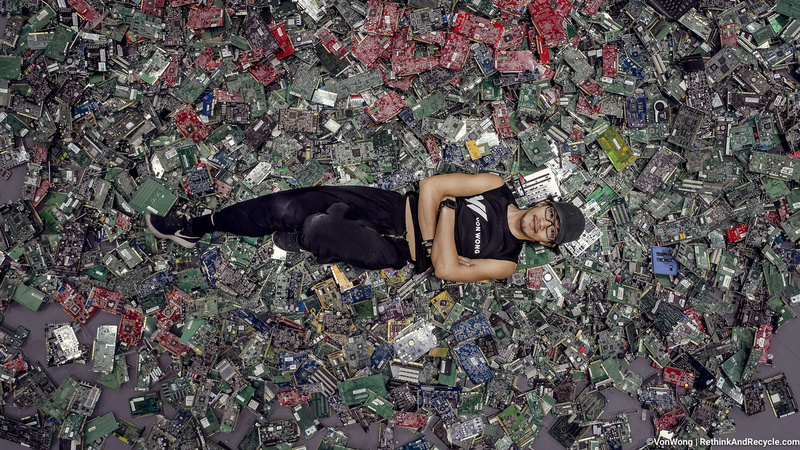 The result: 4,100 pounds of E-Waste intricately pieced together into an otherworldly set for the images that are fulfilling Von Wong's hopes to make recycling E-Waste cool. When speaking about his project and its influence on artists, Von Wong said he'd love to see more people fighting for what they believe in through their art. 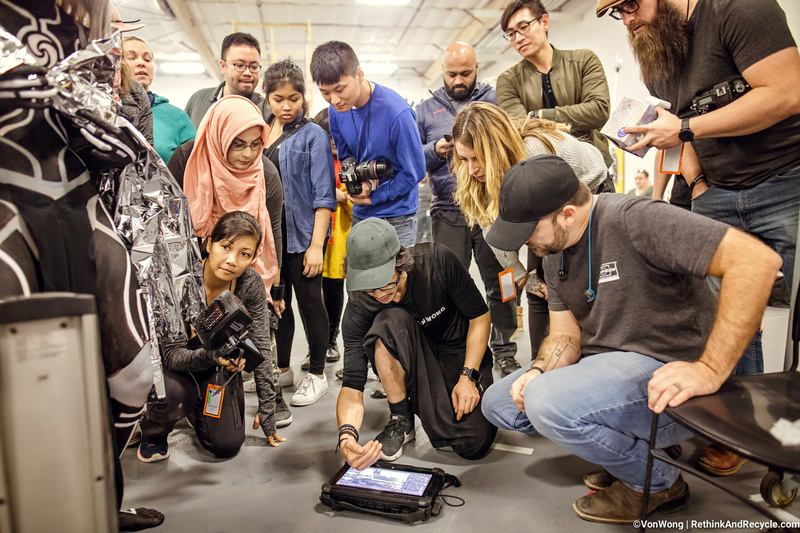 For any artists planning to take on projects of any scale for social impact, Von Wong shares that the hardest part is starting and committing. He also explained that the deep dark corners of the world are never easy to think about but that the difficulty is worth it when you give back to the world. In addition to grabbing the world's attention with these mind-blowing images, he's giving back to the first 1,000 people who share images of their to-be recycled E-Waste with him through his hashtag #rethinkrecyclerevive. 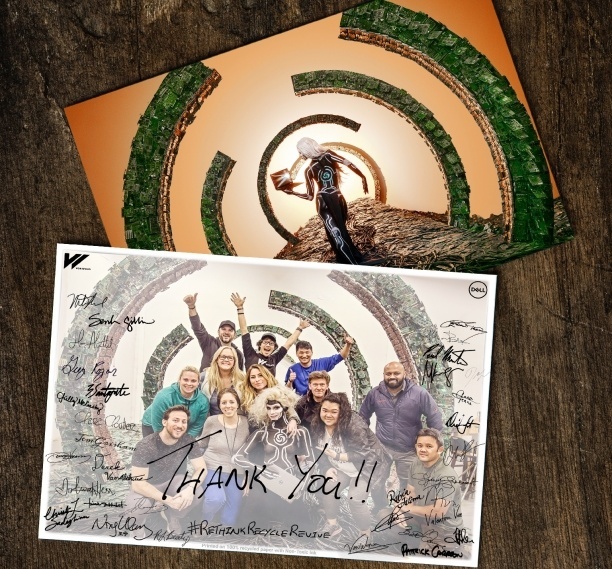 He is sending out limited-edition postcards signed by the entire project team. Von Wong is also giving away three huge metallic prints. Read more about the postcards, metallic print contest, and how you can be a part of the very cool recycling movement here. Check out Von Wong's blog post to see the final images, the entire process from start to finish, three behind-the-scenes videos, and instructions to receive one of his postcards. I can't wait to see all of your E-Waste and will be sharing my own shortly. I'd also love to hear about your projects and plans to encourage change through your art. 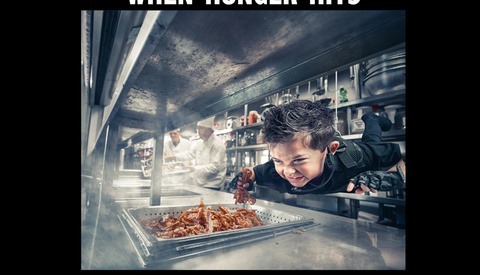 Images used with permission of Benjamin Von Wong. Beautiful work - must be nice to have a 'spare' warehouse, weeks to play in it, and a cast of 'thousands' to create movie set style environments!! TO get that spare warehouse, 10 days to play in it and someone to help support it financially took a year and a half of meetings and follow ups. To get the 50 volunteers, was daily social pushes, videos, and friends of friends trying to convince people to come and help out. Here's the thing - entitlement doesn't get you any of those things. Nor does sarcastic comments online. But what do I know, I'm just a photographer. Photographers who are worth their salt will find a way to do it. It might mean juggling 4-10 of these projects at once until one comes to fruition but it's def what successful people do (not just photographers). It's not a luxury, it's called the hustle and it's the #1 reason why people aren't successful in their fields IMO. Kudos to Ben for doing projects like this throughout the year despite the challenges they present. I think that calling yourself a mere photographer for achieving something like this is a gross understatement. You're a production designer/director . You've put this together from start to finish. Most photographers don't do that. Great shots, and great message by the way! Astonishing work as always, not forgetting the efforts of the whole team.This guy is just so awesome that I think there should be a photography genre called "Von Wong". Thanks Amin, I'm glad you like it! Humans are destroying the earth? Changing it, certainly. In the context of your usage, wouldn't "destroying" depend on your idea of what is perfect? I'm not agreeing or disagreeing with your point of view, just your verbage. My thinking was, if their (whoever they are) version of an ideal earth is accurate, does that mean every other planet in the universe is FUBAR? Certainly modifying or affecting it. I'm quite certain, humans throughout history have had similar thoughts and all manner of animals, given a similar power of reasoning, would have done so all the way back to life in the "primordial soup". I don't like a lot of what's going on but one can't reasonably apply the term, "destroying" to it. This is good, these photographs are worthy of Von Wong, he may be a little nutty, (just thinking of his last endeavor, [the danger of laundry fuzz], But these are cool pictures. haha a little crazyness never hurt anyone! WOW! Ben does amazing work, if i hadn't watched the video i would've figured most of that was CG'd. AMAZING!! and great message! Right!! I am blown away by the results. 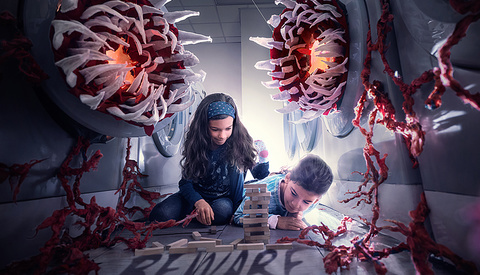 Inspires me to do a similar cgi style shoot in the future for sure. Awesome shoot Von Wong! Your projects are inspirational and refreshing. 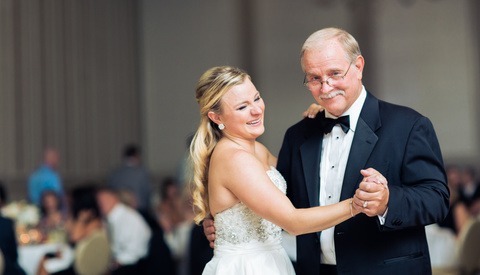 The photos are incredible. But the real skill is in arranging/ convincing 50 people to spend all that time working for free. I think wouldn't have the balls. I think people would just laugh in my face. Wish you covered a bit about how a lot of that waste is being shipped to other countries to deal with. I'm amazed Massachusetts ships off recycled cardboard to China to pull off staples and tape before it's recycled...and of course a lot of electronics get sent there where some of their people end up getting sick from the heavy metals in the electronics. Glad Dell does the right thing and recycles in the US. Not anymore they banned incoming recycling recently! So it's even more important to handle it on our soil as best we possibly can. I like photo projects that tell a story. Whoa, I've been following the progression on his Instagram and the end product is amazing. Creative, insightful, inspiring. Isn't it incredible! I love that he shared bits and pieces leading up to this. Nice work! You guys have any working IBM Model M keyboards yuh don't want? I'm willing to recycle one of those for yuh lol. Thems good keyboards! Haha right! This also made me wonder, how much of it works and could be given to people in need of stuff like this? Not just good will etc but somewhere just for electronics ?